Gerry Rogers is highlighting the issues people with low incomes are facing when it comes to public transit. Single mom Sabrina Somerton knows all too well the challenges of riding busses around St. John's on a tight budget. 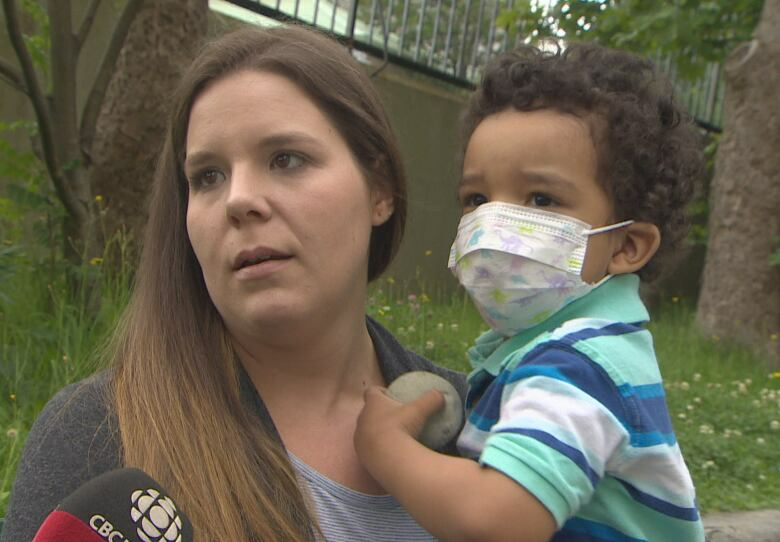 Her son was born prematurely, with breathing issues and holes in his heart, and requires frequent hospital visits. "For the first little while, we did get medical transportation, because the doctor said that his immune system was too weak and he wouldn't be able to fight off any infection if he got one," she told the CBC at a press conference organized by the provincial NDP to highlight the shortcomings of affordable transit in the city. "And then one day out of the blue, they just cut us off, and we've been pretty much trying ever since to get the medical transportation for my son so I could take him to his appointments, take him to Emergency whenever he needs it. Because at any given time, his breathing can act up and he needs to be treated for it, and it's been really hard." Right now, her son can use transit for free, but when she takes him to his frequent appointments, she has to pay for herself and her daughter. A monthly bus pass for an adult is $78; for a child, it's $53. "Where am I getting that money?" she asked. NDP Leader Gerry Rogers said stories like Somerton's aren't uncommon, and criticized the provincial government policy that provides people with bus passes if they have a minimum of eight medically necessary appointments a month. 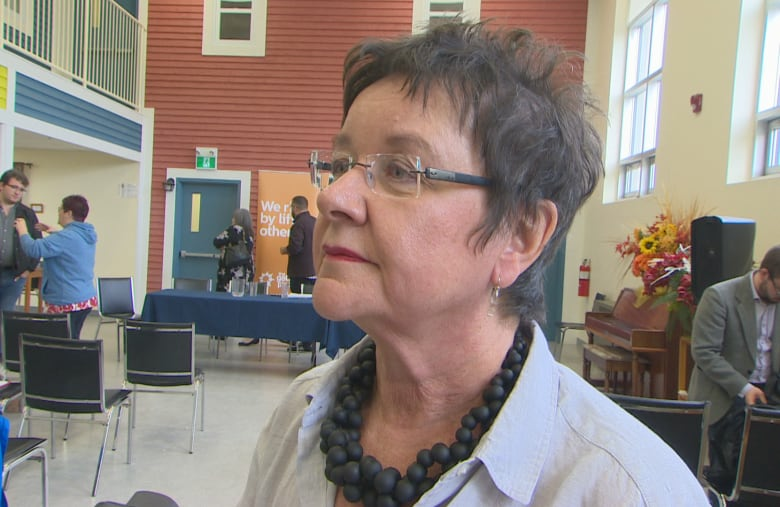 She said that penalizes people with fewer appointments to get to support services like counselling and food banks, as well as other appointments like job interviews. "Over the past year, I have received several calls from constituents, medical professionals and other front-line workers about the growing problem of access to affordable transportation, particularly for that distinct population of people who are income support, and seniors, who are on very, very, very low incomes," the St. John's Centre MHA said at the press conference at the Gathering Place on Tuesday afternoon. "People in our community who are living in poverty, who are living in real poverty." Rogers said people's health and well-being are affected because of their isolation and the inability to move freely within the community. "I believe that the results of the policy cost the health-care system more in the long run because of the medical fallout of social isolation and deprivation and the cost of extra medical appointments to deal with those fallouts, and the cost of those extra appointments to doctors to simply get letters so people would be eligible for a bus pass." Kieran O'Connell of the Gathering Place said transportation issues are a daily headache for people who use the organization's services. "We're not giving people an opportunity to live their best lives, and we're not helping the people who are the most marginalized in our society to get their daily needs met on a daily basis," he said. "We provide meals here, six days a week, and there are food banks and other organizations that provide food for people, but if the population that it's meant to be serving, if those people cannot access the services, then there's little point to offering those services." 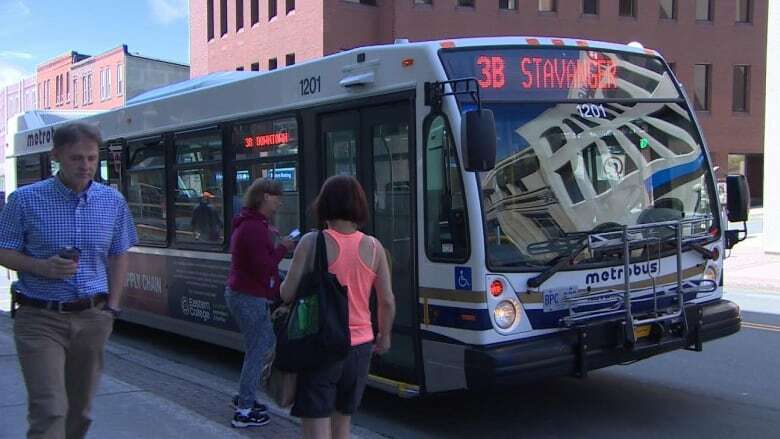 St. John's Mayor Danny Breen told CBC that a plan to reduce the cost of bus passes for people living on income assistance has been presented to the provincial government, which is reviewing it. "It's very important," he said. "We have excess capacity in the bus system in the city, so it allows us to increase the ridership on the bus system," he said. "That will be a benefit to the public transit system, but it's also a benefit for the users. Not only in terms of accessing health care, but accessing for work, for school, for recreational activities and for general transportation around the city."